This year’s surge of Central American migrants across the southern border has put border security back at the forefront of national politics. But with the number of migrant crossings on the decline, and the US stepping up its offensive against the so-called Islamic State – or ISIS – conservatives in Texas are now worried about terrorists crossing the border. Some are now shifting the conversation to again call for tighter border security. If you want to know how exactly ISIS went from being a far-off terrorist group plaguing Iraq and Syria just a month ago to allegedly an impending threat on the Texas border this month, you can basically trace a straight line from a recent New York Times article back to a report from the conservative website Judicial Watch in late August. That’s where most of the recent fears about ISIS on the border stem from. The website claimed “high-level” law enforcement officials were warning of an “imminent” attack on the border. Politically, the timing couldn’t have been better for those calling for tougher measures on the border. National Guard troops deployed by Governor Rick Perry had just started arriving in South Texas , a sign that conservative leaders were finally taking action to deal with illegal immigration, and Perry had that same week told reporters it was a “very real possibility” that ISIS had already hopped over the river. “Certainly, there is great concern that the border between the United States and Mexico is unsecure, and we don’t know who’s using that,” Perry said at a Heritage Foundation event in Washington. Despite that warning, the governor was quick to note there was “no clear evidence of that.” And that’s what homeland security officials say, too. “We to date don’t have credible information that we are aware of, of known or suspected terrorists coming across the border,” said Jennifer Lasley, Homeland Security’s Deputy Undersecretary for Analysis. She and other top border protection officials testified to a house subcommittee on border security that there’s nothing to suggest ISIS is on the border. 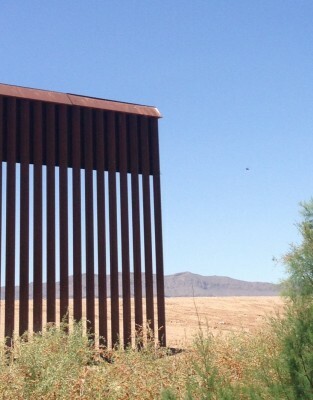 Customs and Border Protection’s Acting Assistant Commissioner of Intelligence Troy Miller said at the hearing that authorities are significantly more concerned about terrorists flying into the country than they are about them sneaking through the borderlands. While that’s the word from the feds, there’s one West Texas lawman who simply doesn’t believe it. “There are people coming across the border, who are other than Mexicans, that are not of friendly nature to this nation,” says Midland County Sheriff Painter. He says he also has intel from what he would only describe as a “reliable source attached to law enforcement,” advising authorities to “be on the lookout” for ISIS on the border. But for another county sheriff who actually lives and works on the border, the issue’s not so black and white. “I don’t know that it is happening or it isn’t, but you know, right now I think that story may have been blown up a little bit,” says Brewster County Sheriff Ronny Dodson. 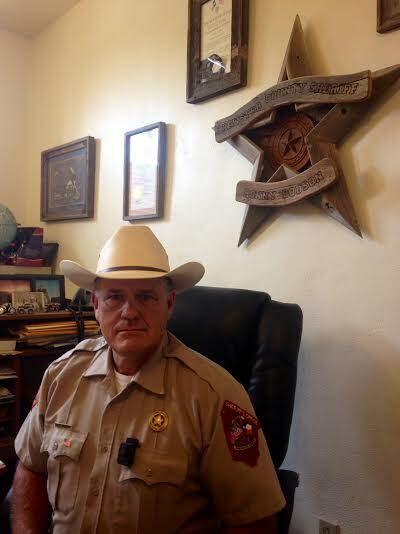 Dodson has big problems with how Texas handles border enforcement. His terrain covers small towns, Big Bend Country and thousands of acres of borderland ranches. Like other border sheriffs, he thinks if the state wants to crack down on border security, it should give money to local departments like his own, instead of using that money to send in state police and National Guard troops. He says hiring local people who actually know the area would better secure the border than bringing in outsiders. Dodson does think the border is unsecure, but his political views on how big of a problem that is are a bit more complicated. After 9/11, the Border Patrol cracked down on informal crossings linking Texas towns with small Mexican villages just across the river, and as Dodson says those families on the Mexican side aren’t the threat. “It’s a shame that family that lives right there doesn’t have the ability to walk over, and go into Presidio, or to cross over into Lajitas and buy three or four cans of canned goods and be able cross back,” he says. Border issues have been an essential campaign focus for the state GOP in recent years, with even the state’s ag commissioner chiming in. 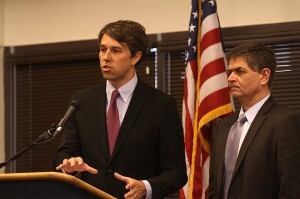 Todd Staples commissioned a so-called Strategic Military Assessment on border security in 2011. Senator Ted Cruz insists the ISIS border threats are real , and Arizona Senator John McCain even got in on the action this month, citing inaccurate reports that the US had “confirmed” the ISIS threat. Congressman Beto O’Rourke of El Paso says all of this is nothing new. At the hearing this month with CBP officials, O’Rourke said he’s seen these kind of “anxieties” about threats to the United States “projected” onto the border his entire life. “There’s other issues in this state than constantly keeping that border secure,” he says. While that political wrangling about border security continues , there at least appears to be bi-partisan agreement on the ISIS threat internationally, as Congress moves forward a bill to arm moderate Syria rebels to fight the militant group. This entry was posted in KRTS News and tagged Border Issues, Border Politics, Border Security, Ciudad Juárez, Homeland Security, Immigration, ISIS, Terrorism, Texas GOP, Texas Politics. Bookmark the permalink.